"The other day when I was trying to delete some junk messages on my iPhone, my finger just slide across the wrong option and deleted all my text messages instead! Among them are messages between my boy friend and me when we just knew each other. I want to recover iPhone 5 SMS and keep that memory with all those texts. If anyone knows a way please tell me I would really appreciate." With iPhone we could save messages for years without worrying about that there is no enough space for the SMS. However, you may also just delete important SMS by mistake. When such misery comes to you, do not panic. I will tell you all the ways that I know to recover deleted text messages on iPhone 5 without iTunes. A lot of iPhone users are used to backing up iPhone 5(including iPhone 5s, 5c, 5)with iTunes each time they connect their iPhone to computer. Usually, when you synch iPhone with iTunes, we let iTunes backup iPhone for us at the same time. This iTunes backup plays an important role in this method. 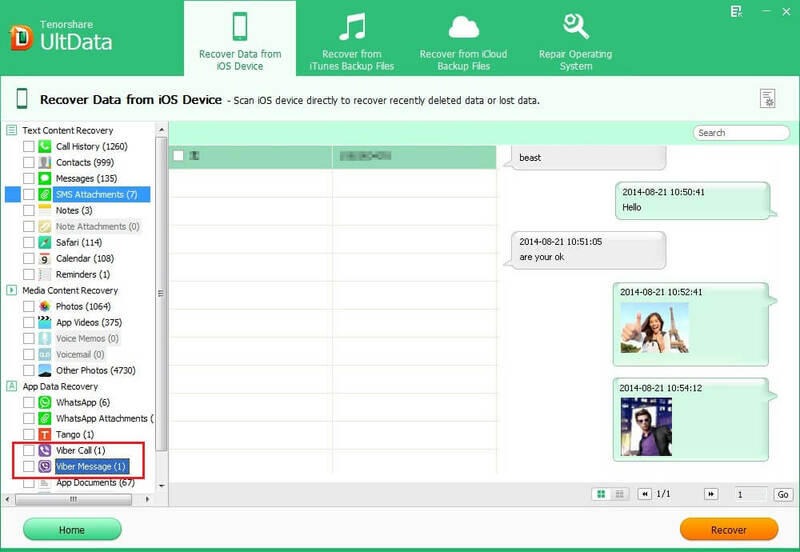 We'll extract iPhone backup with a tool called iTunes Data Recovery, and then recover SMS from iPhone 5. Here is a brief guide. 1. Run iTunes Data Recovery on your computer. When you find your iPhone 5 backup on the interface of the program, choose it and click "Start Scan" to scan your backup files. Remember that iTunes Data Recovery could automatically find all backups as long as you have synched or backed up your iOS devices on your computer with iTunes. 2. After scanning, we could preview all backup contents. The program makes it possible to preview before we retrieve SMS on iPhone 5. Besides, we could preview other backup contents, for instance, photos. 3. Finally we need to click "Recover" and save the recovered messages on our computer. Just now we talked about how to recover messages on Windows OS. What if I am running Mac OS X 10.9, 10.8 and lower versions? How to recover SMS from iPhone 5 on Mac? Just chose another version of this program -- iTunes Data Recovery for Mac, and all the remaining steps are exactly the same as the Windows version. Someone may ask: I haven't backed my iPhone 5, what should I do then? Never mind. In the following text we'll find out how to recover deleted SMS on iPhone 5 directly from your iPhone. 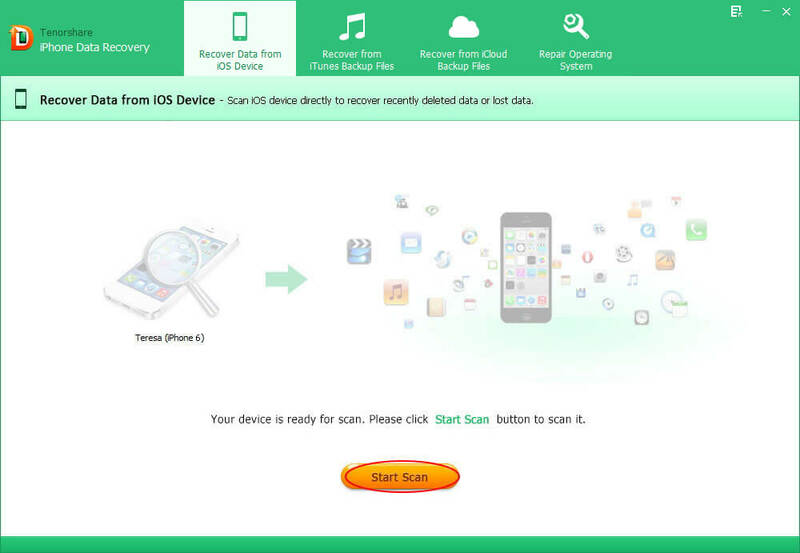 Before we start, don't forget to download a copy of iPhone Data Recovery. 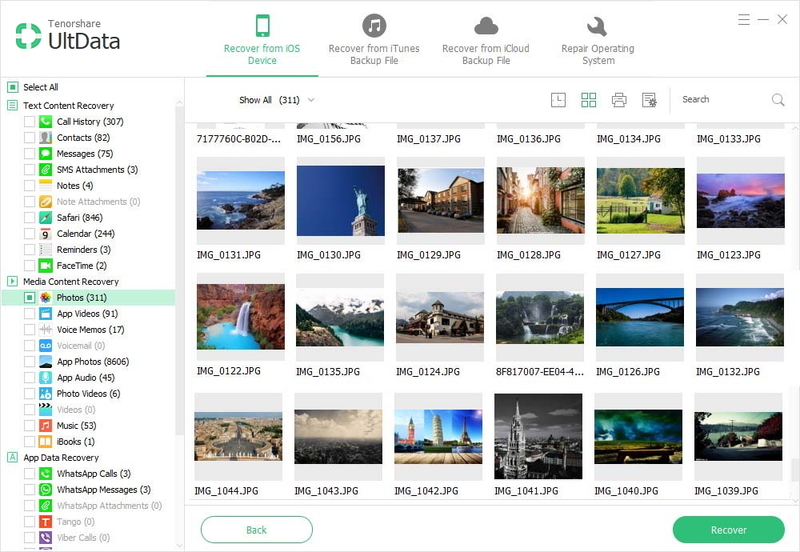 It is this tool that makes it possible for us to recover iPhone pictures, notes, SMS, etc. from iPhone itself. Therefore, make sure you have your iPhone with you when using this recovery method. After we connect our iPhone to the computer and launch the program, click "Start Scan". iPhone Data Recovery allows us to preview before recover SMS from iPhone 5, which is pretty like that in part 1. Finally we could recover all our precious text messages by pressing "Recover". Actually, it is quite easy to restore SMS from iPhone 5. If you have ever backed up your iPhone 5 with iCloud, you can also use this software to restore deleted SMS on iPhone from iCloud backup.